INDIANA, Pa. – Due to the inclement winter weather in our area, Wednesday’s home IUP women’s and men’s basketball doubleheader with Clarion has been postponed. The games have been pushed back one day to Thursday, February 21 with start times of 5:30 p.m. (women) and 7:30 p.m. (men). Both games will still be played at the Kovalchick Convention and Athletic Complex on the IUP campus. Season and individual game tickets previously sold for the games will still be honored Thursday. The S&T Bank game promotion that is attached to the men’s game still applies for Thursday’s rescheduled game. The IUP women’s basketball team is ranked No. 3 in this week’s Women’s Basketball Coaches Association (WBCA) Division II Coaches’ Poll. It marks the 10th time in 14 poll releases this year that the Crimson Hawks have been ranked in the top three in the nation. The Crimson Hawks bring a 21-1 overall record into their matchup with Clarion, including a division-best 16-1 record in Pennsylvania State Athletic Conference (PSAC) play. The IUP men are ranked No. 2 in this week’s National Association of Basketball Coaches (NABC) Division II Coaches’ Poll. The Crimson Hawks are 22-2 overall and lead the PSAC West with a 15-2 league record. The No. 2 ranking is the highest of the year for the Crimson Hawks, who have been ranked in the top eight of Division II all year. 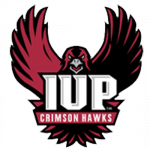 For up-to-date information, visit IUPAthletics.com and follow IUP women’s and men’s basketball on Twitter @IUPCrimsonHawk and @IUP_WBB and @IUP_MBB.